Happy Carnival season! One of the biggest misconceptions we’ve run into with new residents about this time of year is that Mardi Gras is a single day. Technically, it’s true – “Mardi Gras” is Fat Tuesday, the day before Ash Wednesday. However, Carnival season – which ends with Mardi Gras – is several weeks. That means multiple days of parades, king cakes and Mardi Gras festivities. This year, we are getting a good three weeks of parades. For Mardi Gras season, you can find a parade for every flavor. • Want to nerd out and dress as your favorite Star Wars character? Head to Chewbacchus. • Want a beginner parade you can bring all the kiddos to? Try one of the day parades Uptown this weekend. Pontchartrain, Choctaw, Freret, Carrollton and King Arthur are all good bets. Head toward the beginning where it will be less crowded. We’re normally able to find an calm space on Magazine Street for these parades. • Are you a pet-lover? Don’t miss Barkus, where costumed dogs parade. 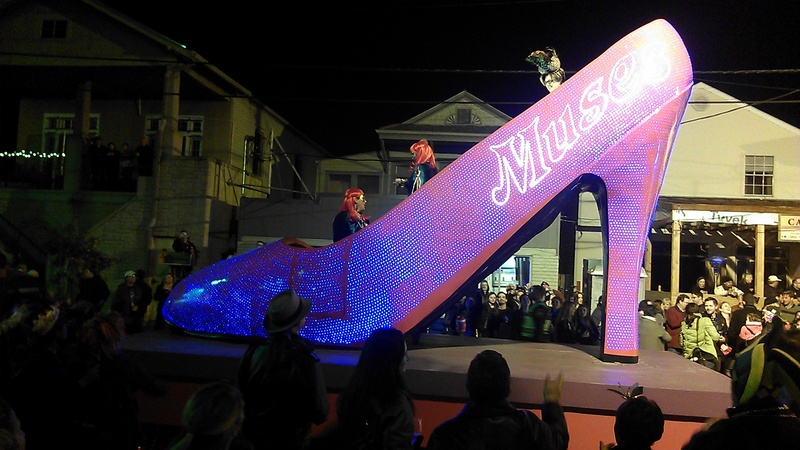 You can even pay ($45-$55) for you and your furry friend to parade with the krewe. • Looking for the classic, gorgeous, over-the-top parades? Head to Orpheus, Endymion and Bacchus. • For memorable throws (trinkets tossed to you from float-riders), head to Zulu (decorated coconuts), Muses (glitterfied shoes), Nyx (decorated purses) and Tucks (toilet bowl cleaners and plungers). In general, the closer you get to the Quarter, the rowdier the parade crowd will get. Night parades generally are rowdier than day parades as well. Here’s the direct link to the full parade schedule and all the routes. Good morning from beautiful New Orleans! Hope you are having a fabulous summer so far. Moving to New Orleans? We're here to help. Advice, recipes and things to do. Good morning from beautiful New Orleans! TGIF! All the good stuff 🍴#newinnola tip = when people say they are "making groceries," it means they are grocery shopping. This work by http://newinnola.com is licensed under a Creative Commons Attribution-NonCommercial-NoDerivatives 4.0 International License. Based on a work at http://newinnola.com.